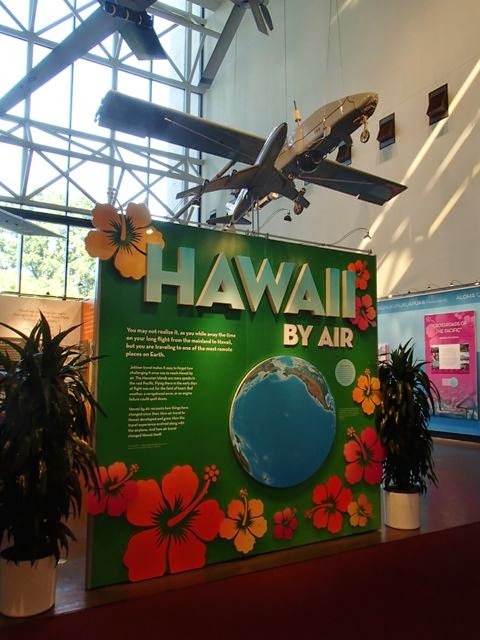 Hawaii by Air is a small temporary exhibit on the west end of first floor right outside the ride simulators. While small, it does provide a good overview to aviation history as it relates to Hawaii with particular focus on early flights from the mainland and the establishment of inter-island service. I thought it was interesting how at several points it gave info on where to see examples of aircrafts elsewhere in the museum or other related artifacts at other Smithsonian museums such as a Hawaiian boat over at the National Museum of the American Indian. Mik's favorite part was the diagrams that showed the layouts of the luxury passenger planes, such as Pan Am's clippers. The museum's exterior is currently under renovation and the ramp entrance is on the west end of the building on Jefferson Drive (National Mall side of building). 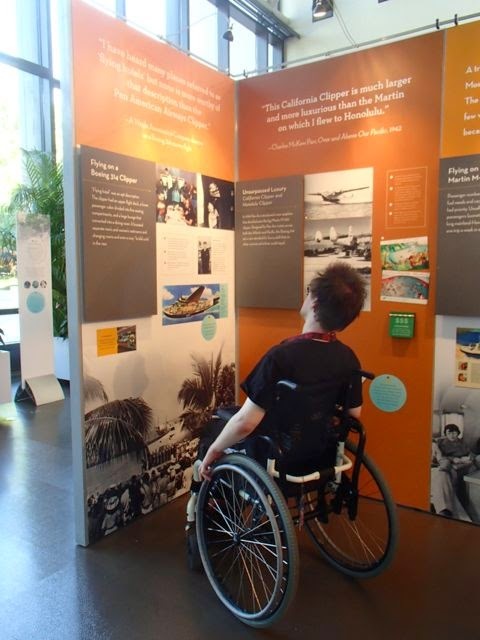 Check out the museum's Visitors with Disabilities page on their website for info on available accommodations and how to request accommodations if needed. Closest Metro stop is L'Enfant Plaza, which is served by the Blue, Orange, Silver, Yellow, and Green. Elevator/escalator outage info can be found here.